The holidays are filled with traditions that get everyone ready for the season. One popular tradition GFWC clubs have to kickoff Christmas in their communities is hosting a Breakfast with Santa. Christmas came early for the Kings Mountain Woman’s Club (North Carolina), who held their eighth annual Breakfast with Santa event in mid-November. It was intentionally planned early so families could have an opportunity to include their children’s photos with Santa on their family Christmas cards. The cost of breakfast was $8 for adults and $5 for children, but the club sponsors a local family each year to enjoy the festivities free of charge. In addition to a breakfast buffet and photos with Santa, there was also an “Elf Closet” where children could purchase $1 gifts for their families. The club appreciates how the event reaches the heart of their community, and allows families to celebrate this joyous time of year. The Camp Hill Junior Civic Club (Pennsylvania) were surprised by how much their Breakfast with Santa brings everyone together. They’ve sponsored it for five years now, and get help from the fire department, the Girl Scouts, and the middle school’s volunteer club. Neighbors get to sit and catch up while their children play with friends, making it a pleasurable time for everyone! 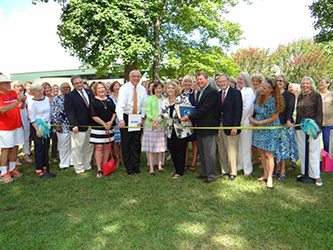 Proceeds from the event benefit their scholarship fund and local charities, and so the larger community benefits too. 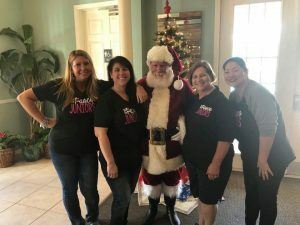 The Pasco Junior Women’s Club (Florida) sold 125 tickets to their Breakfast with Santa this year, with four time slots that allowed for a smooth and calm experience for their guests. The club provides breakfast, a craft, and small toys that Santa Claus gives to each child. The event was advertised on flyers placed throughout their area, including within local childcare facilities. The club members enjoy the intimate experience, and thinks of it less as a fundraising experience, and more as a way to provide a service to the families in their community. The event is also a chance for recruitment because most of the women who attend are interested in what the club does, and are encouraged to learn more. Breakfast with Santa has been a beloved tradition of the Woman’s Club of Laurel (Maryland) since the 1970s. Many children who grew up with the annual tradition now bring their own children. The club was fortunate to have the same Santa Clause for 30 years until he retired in 2011, and have had another Santa going strong since 2012. There are four hourly sessions of about 40 to 50 people each. The event is well-publicized in their community, and they keep a list of attendees to mail courtesy invitations for the following year’s event. It is one of their major fundraisers each year, but they also consider it a community service project, so with that in mind, they keep their admission price low so that the event is accessible to as many families as possible. Local stores donate food and supplies that help keep the costs down so more of what they raise goes towards the club’s philanthropic efforts. 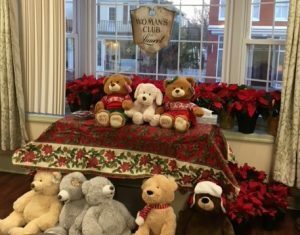 To add to the holiday spirit and raise additional funds, the club raffles stuffed animals and sell poinsettias for a nominal cost. GFWC clubs are making sure their communities aren’t short of cheer this holiday season. With delicious food, a festive atmosphere, and Santa Claus himself, Breakfast with Santa events allow clubs to foster a lasting relationship with their communities.